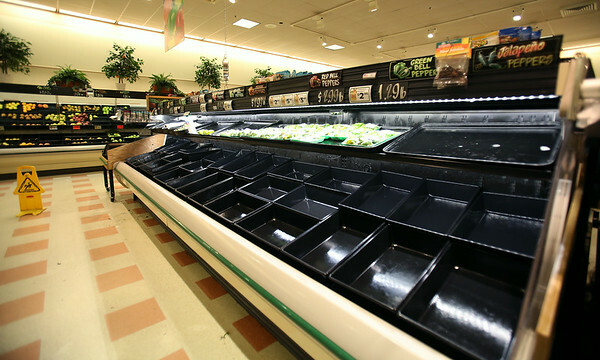 The meat and produce section of the Market Basket on Highland Ave in Salem was almost bare amidst the protest for the firing of Arthur Demoulas, former CEO of the company. DAVID LE/Staff photo. 7/21/14.